Group CEO, Brett Morris, one of the most respected creative talents in the industry and one of the few creatives to head a local agency, is thrilled with the group’s agencies’ performance. “The fact that we won 11 awards at the country’s most rigorous awards festival is proof that we continue to steadily improve our creative product. And the fact that we won for five different clients across a number of industries and numerous marketing disciplines speaks to the depth and breadth of our expertise and skills. “Congratulations to everyone involved in bringing home the ‘birds’ this year, particularly FCB Joburg and client Coca-Cola South Africa for landing a Grand Prix for their inspirational ‘Rainbow for a Rainbow Nation’ work during Freedom Month,” said Morris. 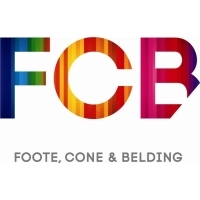 FCB South Africa’s performance at The Loerie Awards comes just weeks after it was awarded the Robyn Putter Top Brand Agency of the Year Award in the Sunday Times Top Brands Survey 2014. The agency also fared well at the Cannes International Advertising Festival held earlier this year bringing home six Lions – Gold, two Silvers and two Bronzes for Coca-Cola South Africa – ‘A Rainbow for a Rainbow Nation’ across three categories and a Bronze for the Lexus ‘Precognition’ radio spot.